The Lone Star Hiking Trail runs 128 miles through the Sam Houston National Forest, from Lake Conroe to near Cleveland. The 27-mile section from the trailhead on Farm to Market Road 945 to the end near Winters Bayou Scenic Area on Farm to Market Road 1725 is a designated National Recreation Trail. Five access points allow you to choose a shorter route or to break the hike into two days. The natural trail is generally only a narrow path through the forest, mostly sandy, with some grassy stretches. This summer, all around the country, boys and girls are playing softball and baseball. 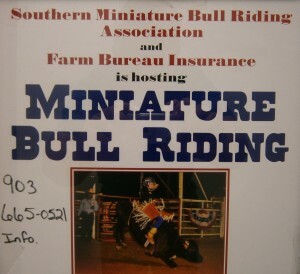 In Jefferson our kids play ball but, they also take part in a sport that’s a little bit tougher; miniature bull riding. The year I lived in Louisiana was one of the most rewarding experiences I have ever had, both professionally and personally. In Louisiana there is an abundance of history, music, food-ways, language and culture to study and experience. One of these best known experiences is Mardi Gras, a holiday we also celebrate here in Jefferson, Texas. 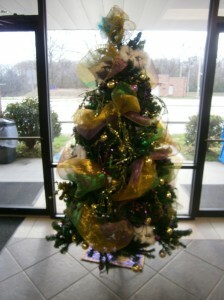 One of the traditions I learned of in Louisiana is the Mardi Gras Tree. After Christmas some Louisianans strip the Christmas ornaments off the tree but leave the tree standing. The barren tree is redecorated with trinkets, bauble and ornaments of green, purple and gold.